Well, it’s easy to start with a little internet research to learn about ‘outdoor living’ trends for St. Louis homeowners like yourself. Blogs, such as this, can be a great starting point and provide a wealth of initial information. Building a Deck: Where to start? Next, look at pictures of completed projects to identify exactly which designs and materials are personally appealing to you. And finally, talk with a reputable and experienced contractor who will design and build a project according to your tastes… and within your budget too. 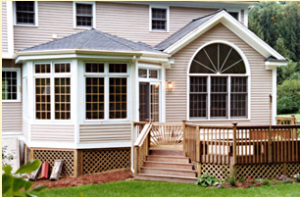 In the end, your outdoor addition should complement your existing home’s architecture; be attractive, comfortable and usable while adding significant monetary value to your house and property. 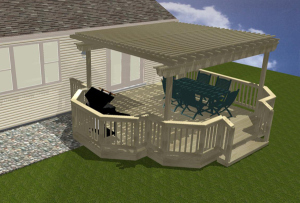 A project designed and built by a professional contractor like Archadeck, could be, for example, a free standing pergola or an elevated deck. 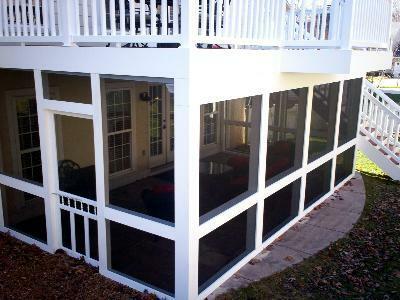 Or your deck could adjoin a screened porch enclosure or gazebo with parts of the deck shaded by a pergola. 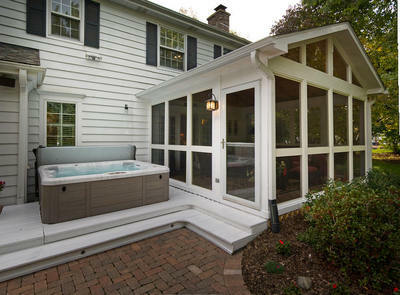 Add an under deck system and the space below your elevated deck is dry and ready to be used as a covered patio or screened in porch. Archadeck’s computerized design renderings are true-to-life, depicting a realistic view of your project and the transition from indoors to the outdoor space before we begin construction. As a result, adjustments can be made before the first board is cut! In short, we’ll explain your project options, show you choices of materials, propose creative ideas that you may not have considered, as well as incorporate project specifications important to you. We can build your ideal design in stages or all at once… a perfect approach for an Archadeck combination project! Visit our website, west-county.archadeck.com for an extensive Photo Gallery of our completed projects and additional information about Archadeck. Or just give us a call, 636-227-0800 to schedule an onsite estimate. We provide services throughout Greater St. Louis including St. Louis and St. Charles counties and parts of Illinois. Visit archadeck.com if you live outside of the St. Louis, Missouri area for other offices across the country.